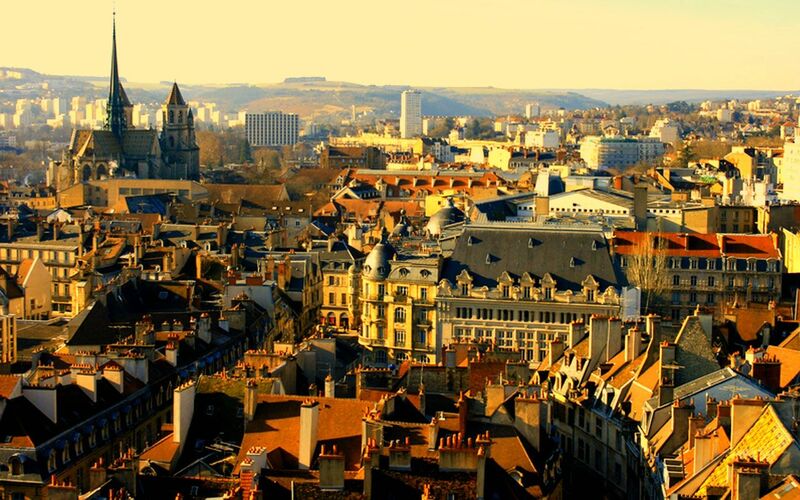 Upon a closer view, Dijon is a storehouse of historical objects and amusing stories. The most famous architect Gustave Eiffel was born here, and the main hotel called La Cloche once hosted such luminaries as Napoleon, Saint-Saens, Roden, de Funes, Grace Kelly and many others. Employees of the hotel gladly boast with guest book full of autographs and tell curious legends, of course, supplemented and decorated over the years of retellings. However, it is just a beginning. Outside the hotel you will find many attractions, as well as the narrow streets and cosy squares, which are regularly used for filming, romantic walks and for inspiration. The Tourist Information Office near the central train station provides absolutely free of charge the description of the most popular and perhaps the most cognitive route through the historic part of the city. 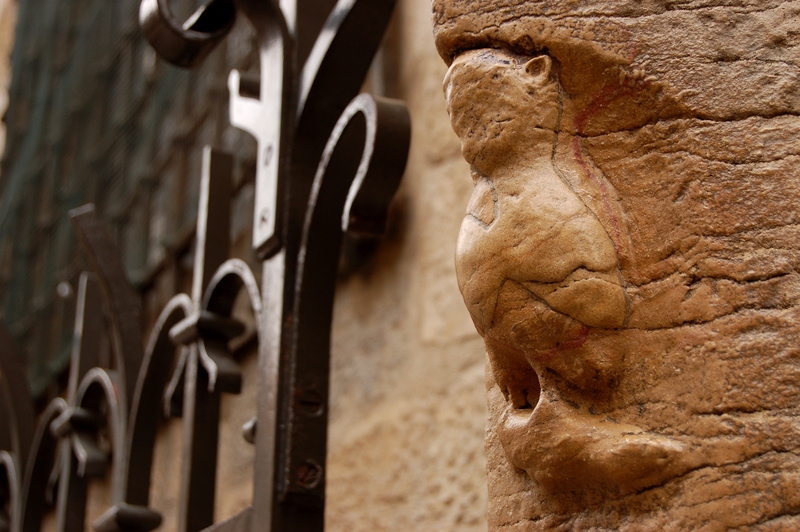 The tour is called "Owl's Trail" ("Le Parcours de la Chouette"), and it is especially outstanding by the fact that a trained guide is not necessary, guidance is taken over by the Owl, Dijon’s symbol and mascot. The owls seen on brass plaques embedded into the pavement lead thousands of travellers from one attraction to another. Each plaque bears a prudently engraved number with which you can easy find places and also read the historical information in the mentioned brochure. The Owl's Trail begins in the city public garden with a water tank which in 1840 was built by the engineer Henri D'Arcy. Not only this place, but also central square were named after him. The sculpture of a polar bear here is a tribute to the animal sculptor Francois Pompon whose works are exhibited at the Museum of Fine Arts nearby. Then, we go down the route to La Porte Guillaume archway. Once it was a part of fortifications, but now it is one of the busiest commercial arteries of the city - the Rue de la Liberté, i.e freedom. Behind the arch there is the historical building of post office and the indoor market, built on the site of a former gallery of the Jacobins convent. On Tuesdays, Thursdays, Fridays and Saturdays, it is a busy clamorous market, so that one get the shopping well done. After it, immediately proceed to the square of Francois Rude - a kind of the city symbol. It is noteworthy that the locals often call it "Barese", from the word "Bareuzai", which in old Burgundian dialect means "pink stockings". It is because the fountain in the centre of the square is decorated with a statue of grapes presser, and stockings of representatives of this craft eventually become pink - that's where an unusual name comes from. Following owls on the pavement, we are heading for the church of Notre Dame. The facade is crowned with Jacquemart clock with four sculptures. Installed in 1383, Jacquemart was alone, in the 17th century "he" was given a wife Jacqueline, in the 18th - the son Jacquelinet and the 19th - a daughter Jacquelinette. After experiencing such a serious addition to the family, the clock keeps showing accurate time and beating every quarter of an hour. In addition, the walls of Notre Dame feature a cult figure of the owl, which has been trusted for centuries as executor of cherished desires. Unfortunately, public love did not protect the sculpture, in 2001 its left side was damaged. Public indignation had no limit, and after the restoration the stone bird is guarded day and night. However, it does not prevent you from rubbing the owl with your left hand and making a wish, everything will come true. Further, we are waited for by Maison Millière, Hôtel de Vogüé, the church of San Michele, The Tower of Philippe Le Bon, Palace of Justice, Liberation Square and Dijon typical houses of parliament members. This is exactly the case when a picture is worth a thousand words. Overall, the trip consists of 22 points and is scheduled for about one and half an hour. Then, as a rule, tourists want to enjoy again the atmosphere of a centuries old historicity in conjunction with cosy provincial style of lovely patios and coloured tiled roofs. One may proceed with tour using Owl’s brochure which offers three loops little further afield– Rousseau Loop, Zola Loop and Moses Loop. Detailed description, a graphic card and street names written in Russian and French, will help you not get lost and will lead to the centre. Another pleasant fact: it is nice that there are many small restaurants where you can feel at home, even with zero knowledge of the French language. The owners, who are not spoiled by the capital like flow of visitors, will help make your lunch or dinner a memorable experience, and the local cuisine will surprise even the fastidious gourmet. 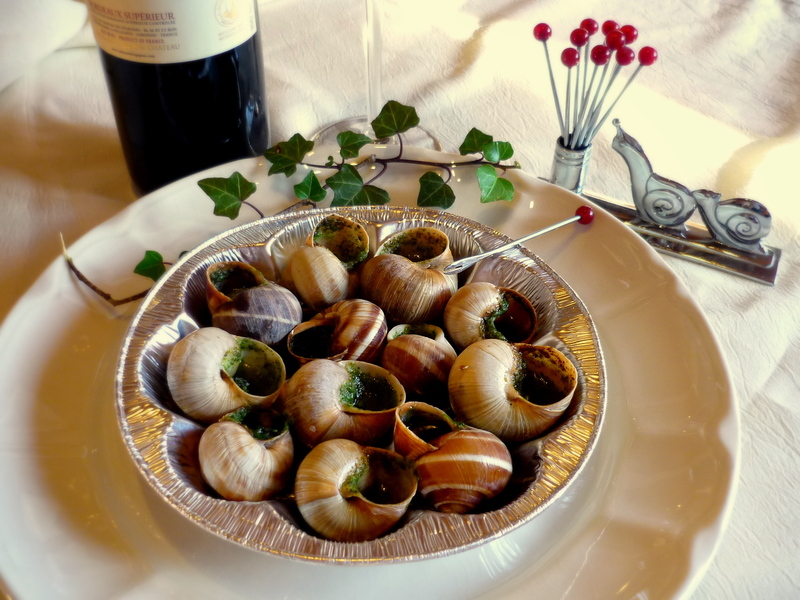 For instance, snails Burgundy (Escargot de Bourgogne) so firmly established in history that even postcards with images of the city are supplemented with them. Prices also are diverse, and both for snails and postcards with their images. It is advisable to drop in several places to make a choice in line with your taste and purse. During the trip it is well worth remembering that Dijon is famous for excellent mustard. To leave city without it is practically impossible, because it is sold in all stores, and an abundance of varieties and packaging eventually attracts attention of even the most disinterested person. It is complemented by flavours of mango, ginger, spices, red wine, orange, thyme and other unusual and unfamiliar additives. It is not only a great souvenir for friends and relatives, but also a worthy trophy for private reserves. 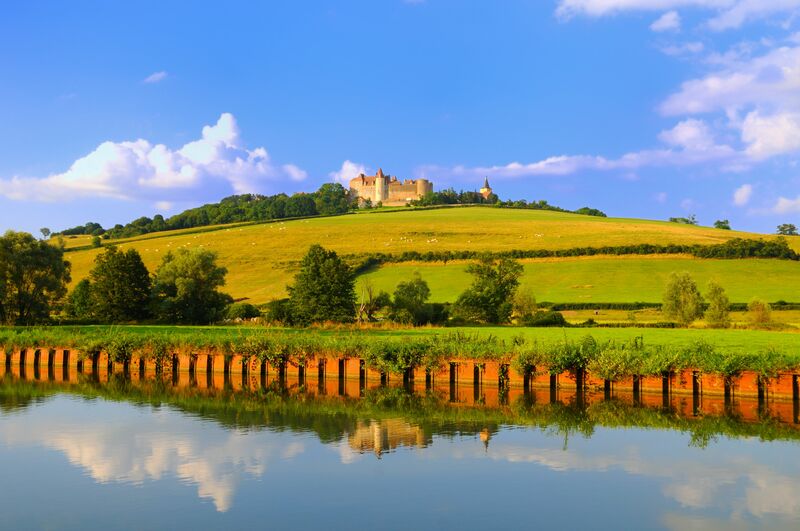 If you like mustard, you will sorely miss its Dijon interpretation, as well as comfort of this little Burgundy town. Thus, for many guests return visit is just a matter of time.